Manufacturing defects must be reported promptly before fitting, finishing, or hanging. Provided that doors are operative, action on any claims after installation may be deferred at the option of Hollywood Door Centre Ltd. for a period of six months from date of complaint. During this time period, doors must remain hung in the original installation to permit conditioning to humidity and temperature. Hollywood Door Centre Ltd. agrees, at our option, to repair or replace, any doors that are defective within the meaning of this guarantee. Claims for re-hanging, refinishing, or other expenses for work not originally performed by the manufacturer will not be allowed. Due to extreme weather conditions, exposures, and architectural designs, Hollywood Door Centre Ltd. will not guarantee any double door units or out swing units for air or water infiltration where there is not sufficient overhang to protect the door. The entire door, including edges, top, bottom, and sides must receive at least two coats of paint, varnish, or sealer at the time of installation. 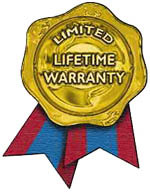 All other warranties shall be covered by the specific manufacturers Re: Door slabs, glass lites, thresholds etc. Thickness, width, and height tolerances from nominal sizes shall not exceed 1/16″ plus or minus. A square ness tolerance of not more than 1/8″ between two diagonal measurements taken across the face of the door shall be allowed. Damage caused by attempts other than Hollywood Door Centre Ltd.’s to repair the door and/or unit. Failure to properly seal the door. Defects caused by improper installation such that the door does not swing freely. Damage caused by improper handling or on-site storage. This warranty shall be void and Hollywood Door Centre Ltd. shall have no liability here under if the purchaser installs, treats, or retains, for more than thirty days, a door and/or unit containing an obvious defect, without giving the notice as required herein, or if the purchaser fails to give the required notice within a reasonable time after discovery of a latent defect.